This companion is similar to a Magic 8 Ball. Interacting with this pet will bring up a dialogue option. After selecting it Khadgar's head will perform a small spin animation and then state a positive, negative, or neutral response. Players can unlock this quest by obtaining a Strange Humming Crystal from the Kirin Tor emissary chest (World Quest reward). This quest item is not a guaranteed drop. This quest is available to level 110 characters, and has players seek out and defeat 8 elite NPCs in Dalaran. Each NPC has a unique moveset, reminiscent of rare spawns in Mists of Pandaria. The Wonderous Wisdomball is a non-combat pet and cannot participate in Pet Battles. For anyone still wondering, this can still be obtained in BFA. I got the quest yesterday on the first toon I cycled through the KT WQs. This was the second round of KTs that I'd remembered to check for, and the last one I ran 10 toons through with no luck. Not sure if the drop rate has improved or if I was just lucky, but at least it can still be acquired! According to Rarity, as of February 2018, this has a 1 in 100 drop rate from the Kirin Tor emissary chest. If you obtain it in 69 or fewer attempts you are "lucky". If you have attempted it 70 times or more and it hasn't dropped you are "unlucky". @ Endaria - I feel your pain. Doing it on 8 toons since Legion started and may have missed one Emissary. Still have not seen it drop. One of the few I need. Will just keep trying. The quest item seems like a really low drop rate since I've been playing regularly since the start of legion and still haven't gotten it. I'm now doing kirin tor on 15 toons when it pops up. Got a second one today. It is now soulbound when receiving it, and still uncagable after learning it, making it no longer available on the AH. I was just curious if anyone had found the item on the AH recently? I noticed a comment from a year(ish) ago, that said the item was tradeable before learning it. Is this still the case? Thanks! I finally got the item last week! And then today I got another one! Maybe they upped the drop rate? I'm not sure, but here's to hoping! Oh dear sweet jesus! This is the stuff nightmares are made of. The mobs you have to kill really aren't that hard. I did it on my spriest with only one death. However, I did farm the rare mobs in MoP a lot during that expac so I was familiar with the skill sets. Most have special gimmicks that you need to watch out for. If you're constantly dying, it's probably one of those. A plus is that others can help. The Kirin Tor emissary is up now, but there are no quests. I really wonder what's going on here. Each mob is similar to a pandaria rare mob, and has an ability that kills you if not avoided. Human: mogu sorcerer, dangerous is the void zone. I did this on my demo lock and had very little problem with 7 of the 8 of the NPCs. You might want some friends to back you up if you're a squishier class. They don't appear as elites/rares, so people have little incentive to help fight them if you try kiting them into the open. They also reset if you die fighting them alone but stay active as long as they're in battle. This is the first semi-rare pet I've ever gotten, was worth my many deaths to those Dalaran elites! I shared the pain though, got a tank from my guild to help and he died more times than I did..hah! I believe only the person who has the pet can talk to him, though I don't have confirmation on that one yet. Obtainable at lvl 110 sounds like a following questgiver. Pretty smart idea if it is actually useful. 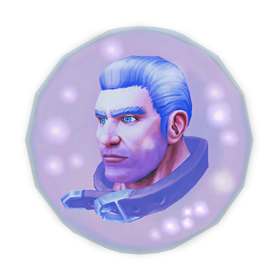 A magical wisdom-filled head in a ball bearing Khadgar's visage, it can only answer questions with a few phrases.